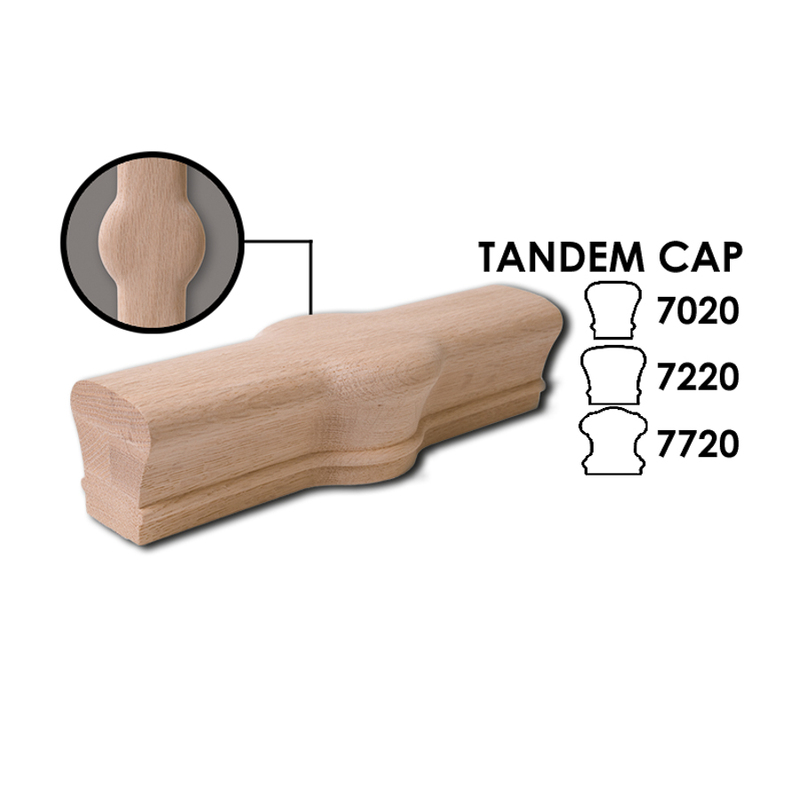 Our modern and contemporary wood stair handrails offer simple designs that work with all of our wood and iron newel posts. 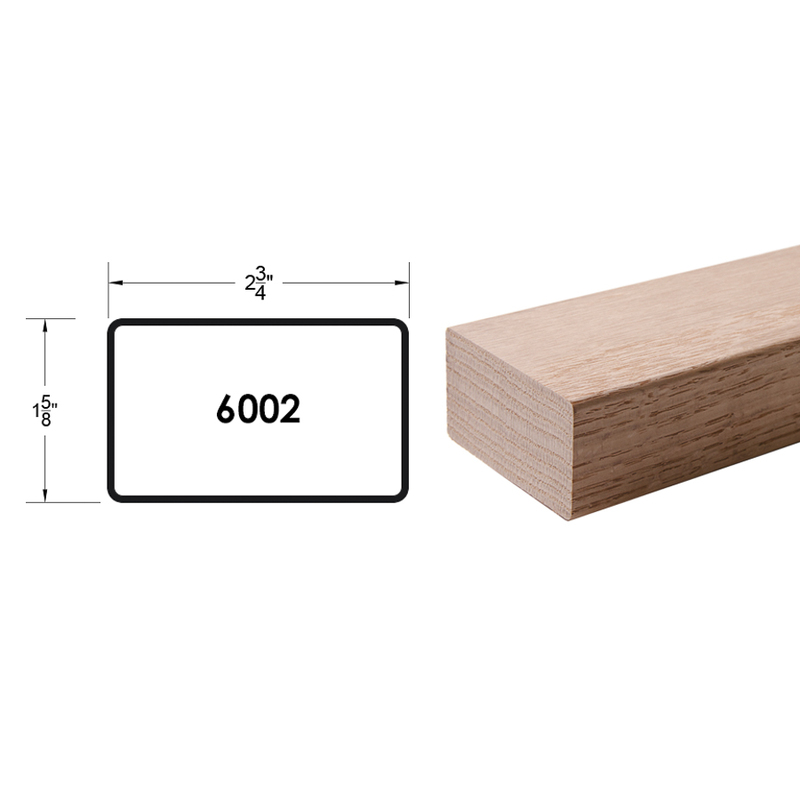 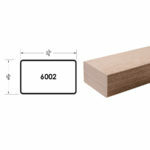 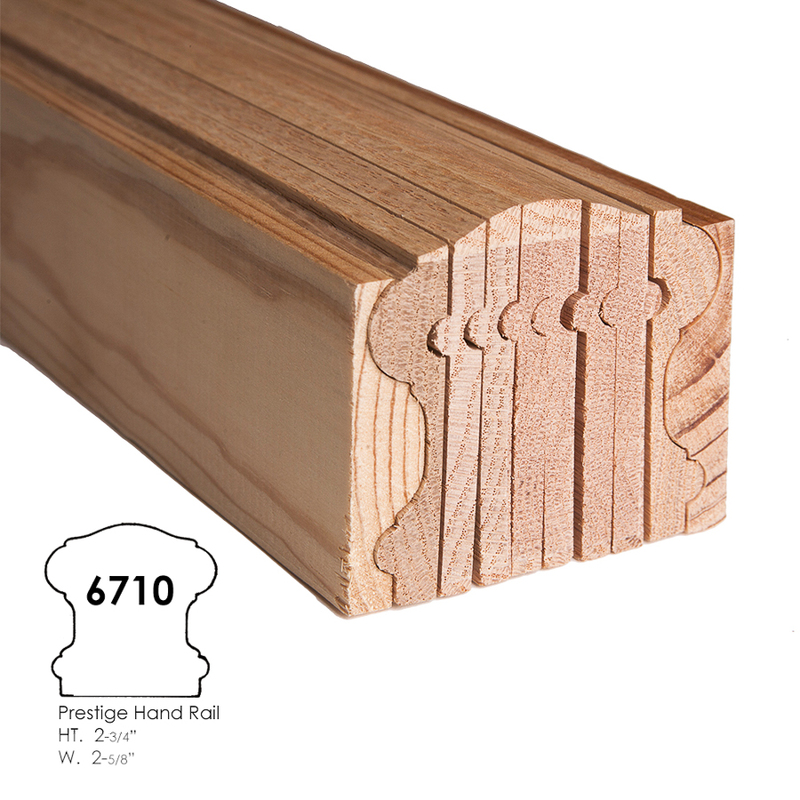 The 6084 series meets all building code standards and the 6002 series may not meet all local building code standards. 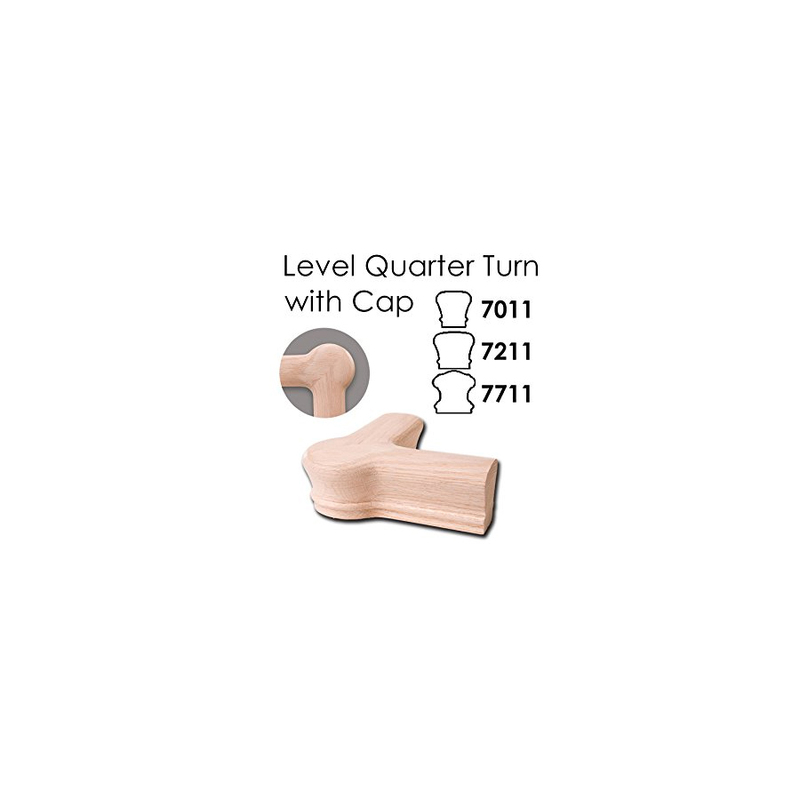 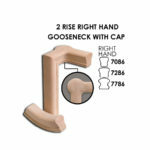 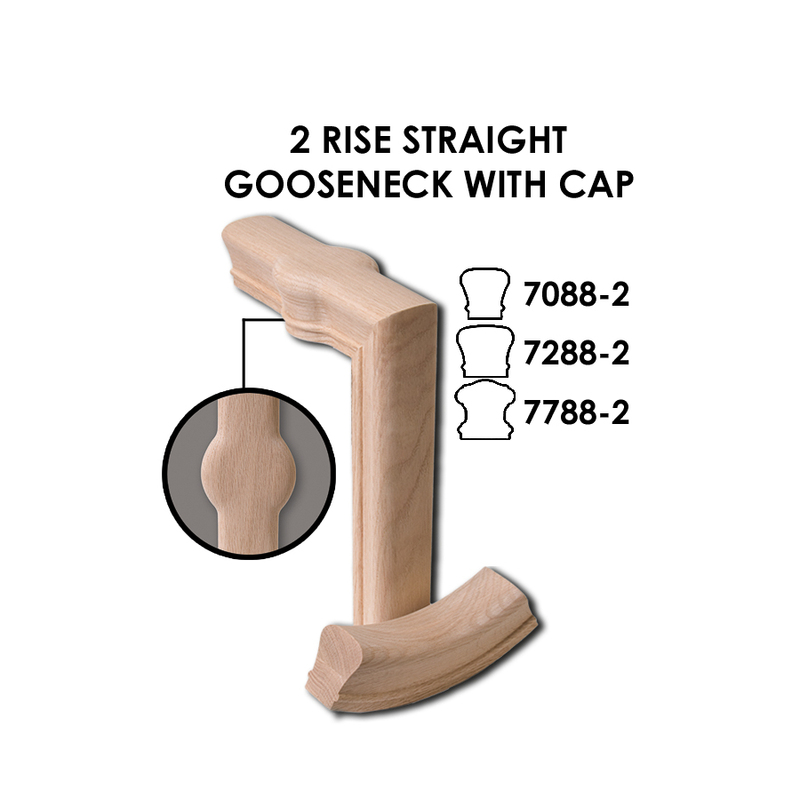 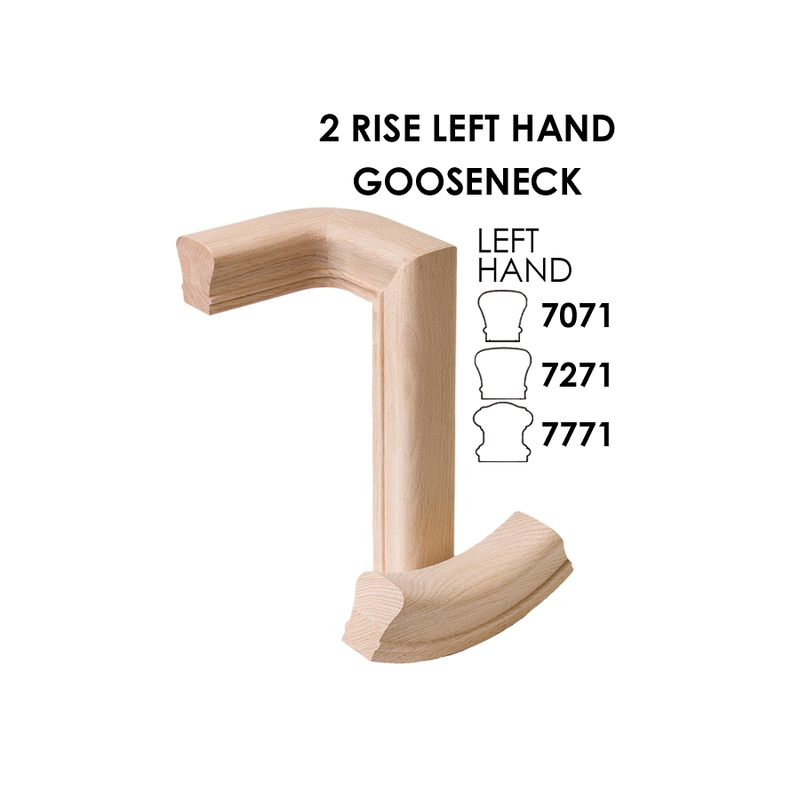 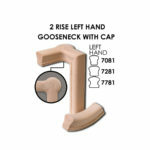 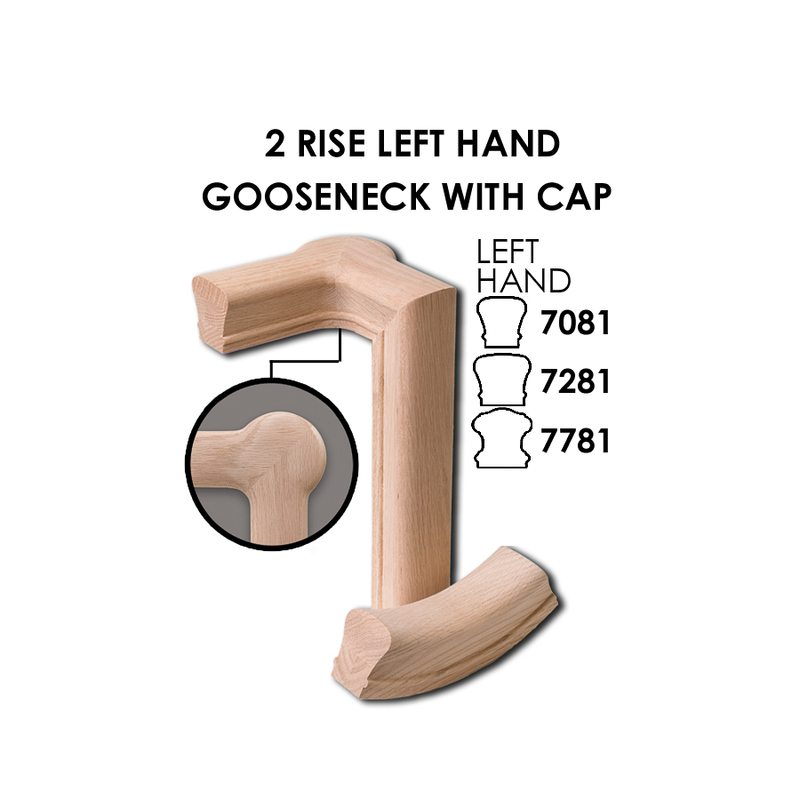 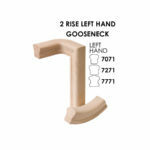 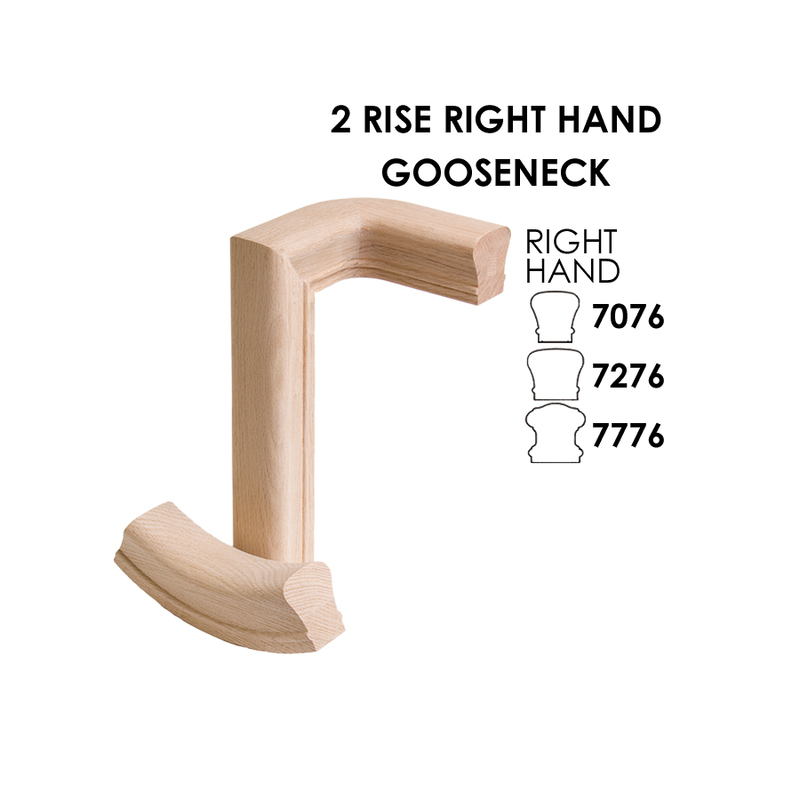 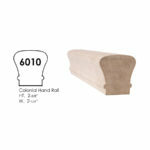 Consult your local code before installing the 6002 series Handrail. 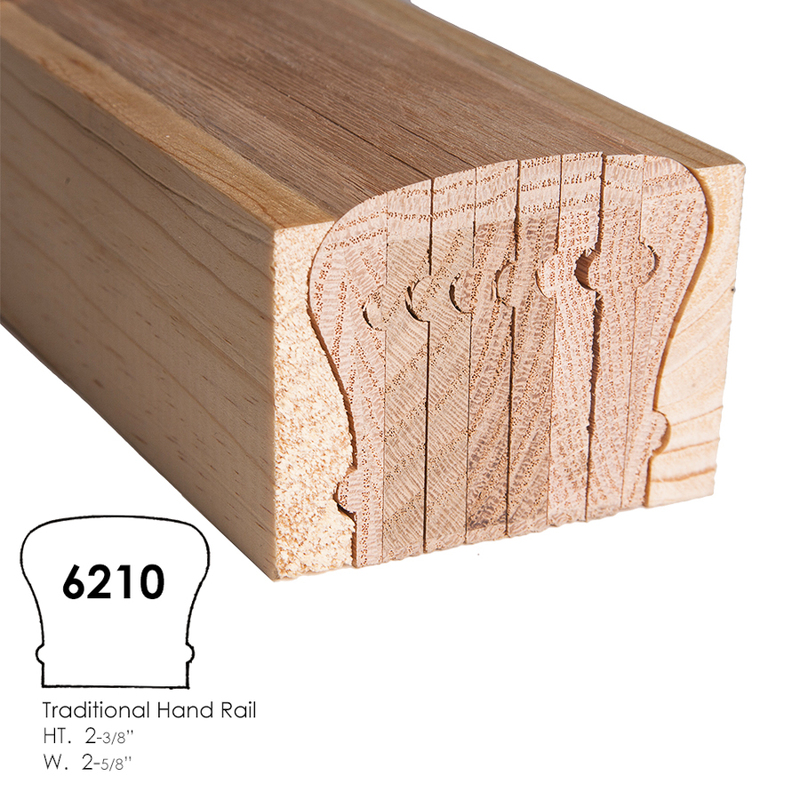 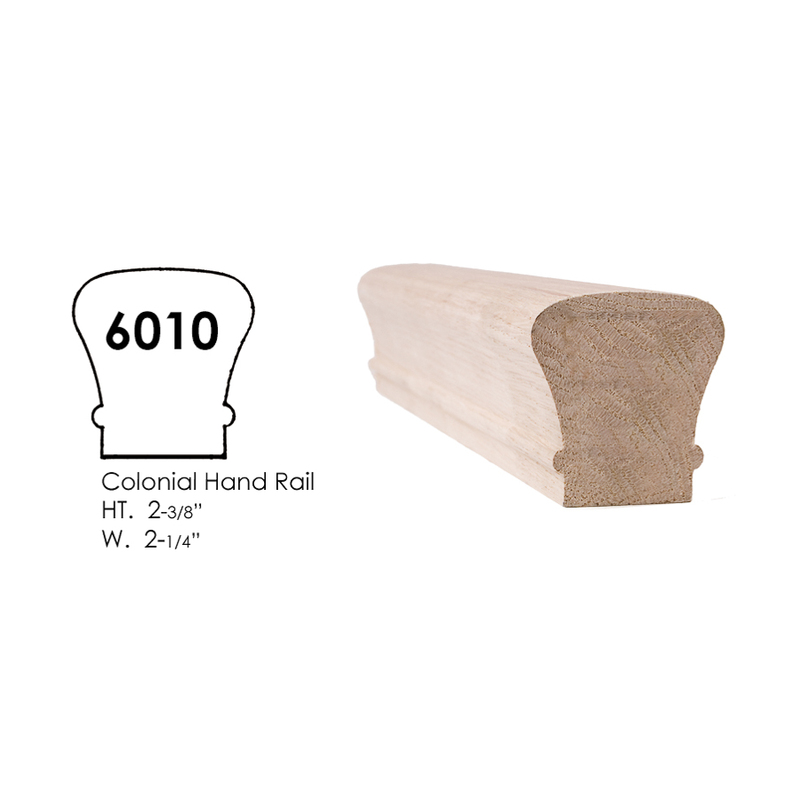 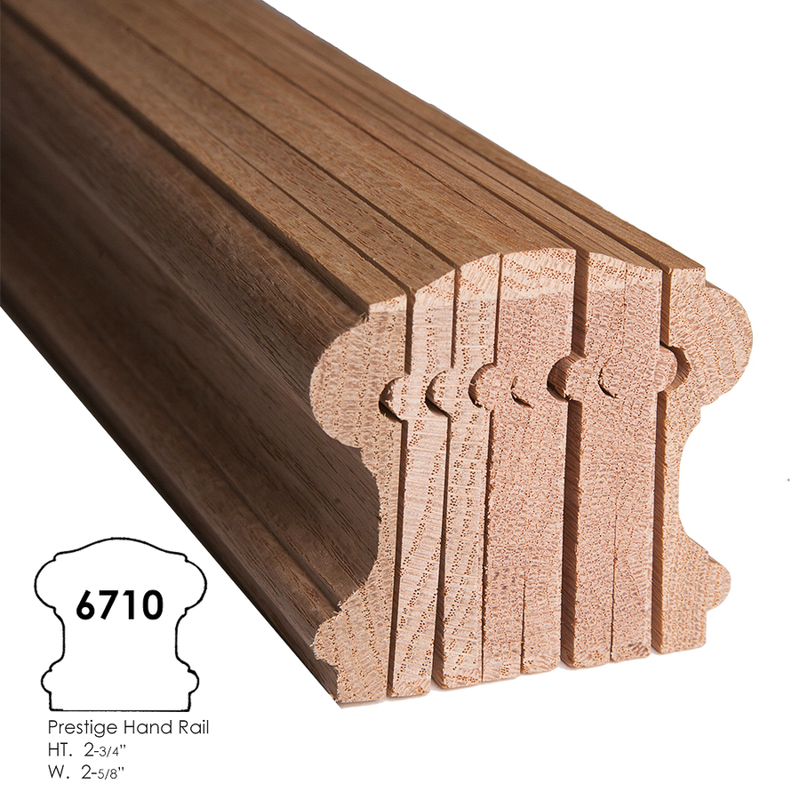 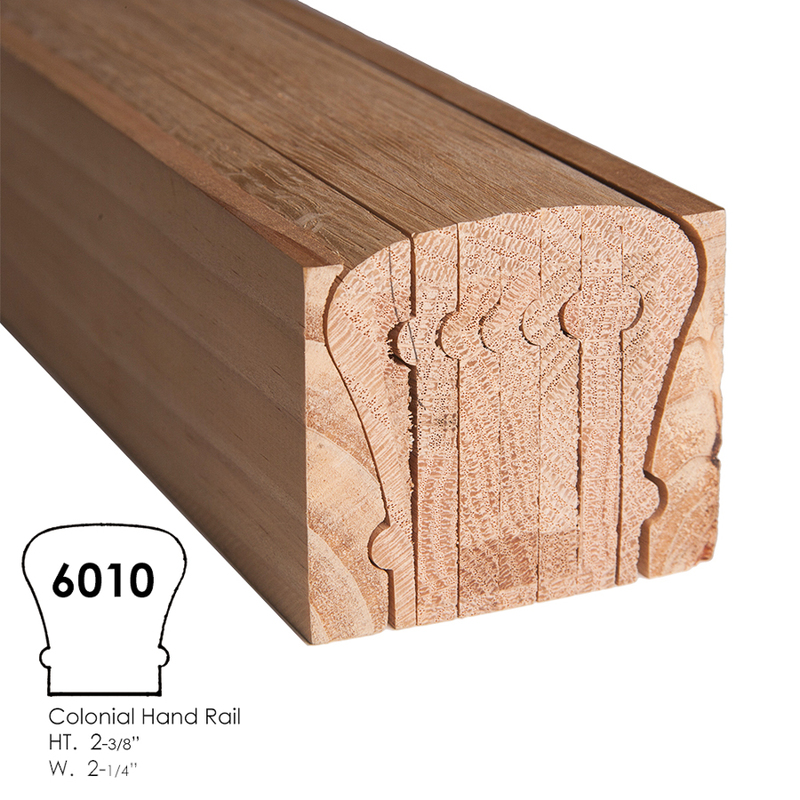 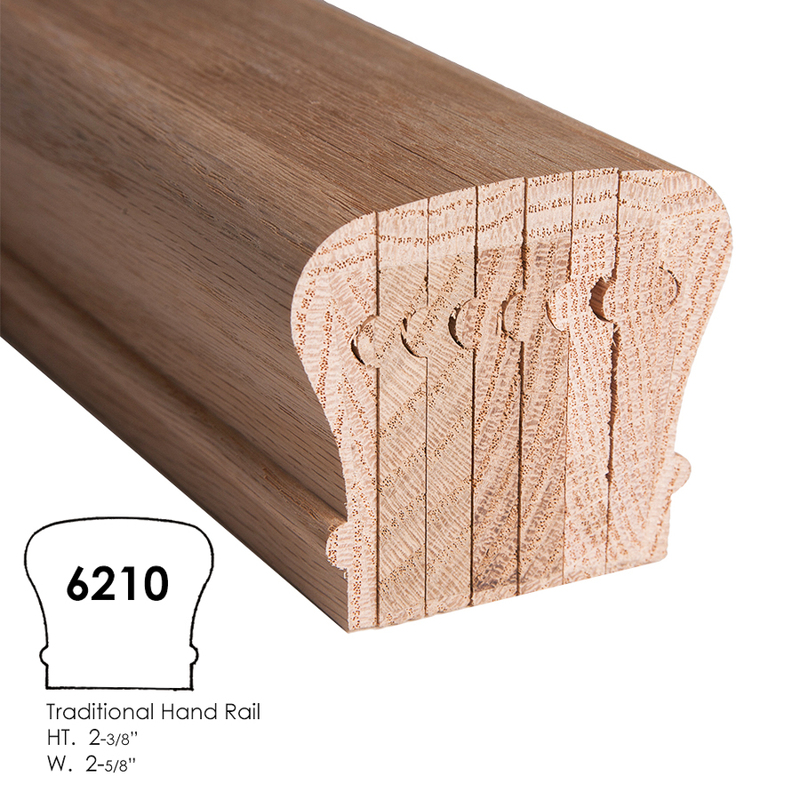 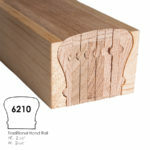 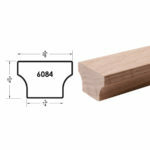 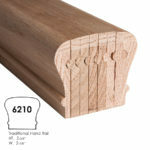 Our traditional straight stair handrail comes in solid, straight lengths from 4 ft. to 20 ft. long. 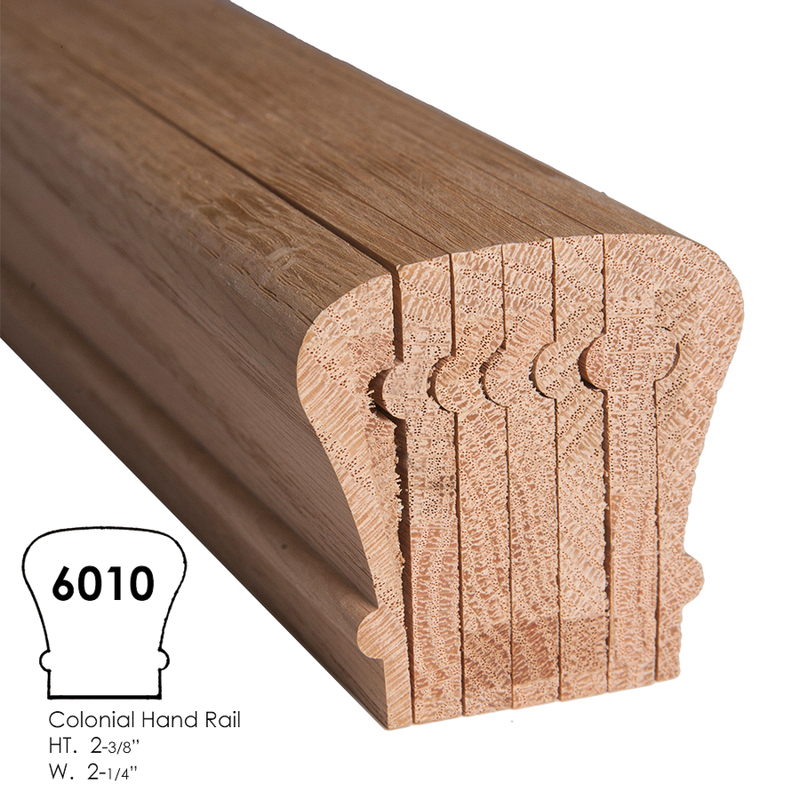 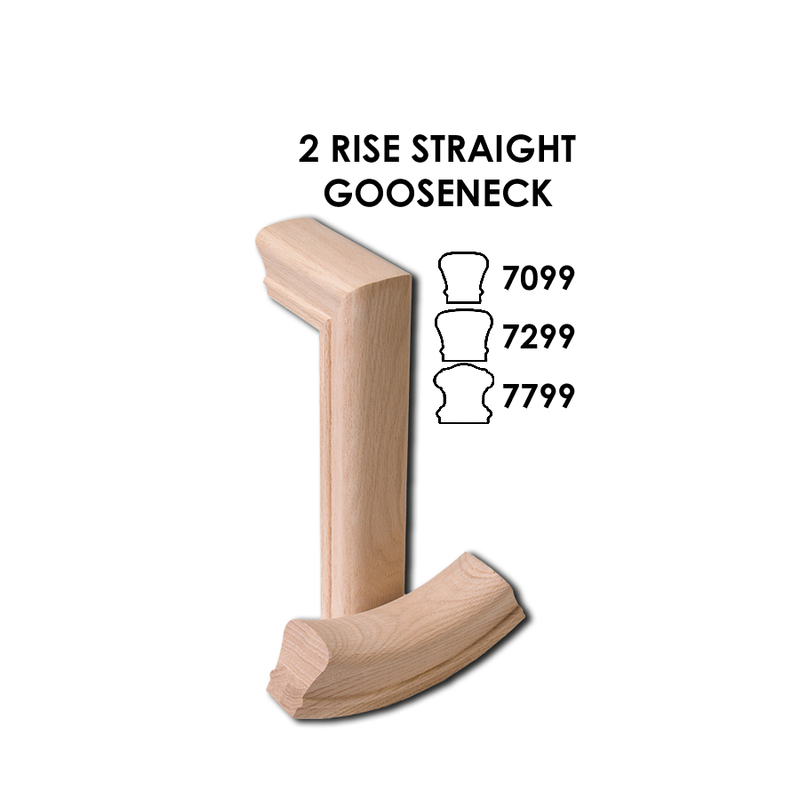 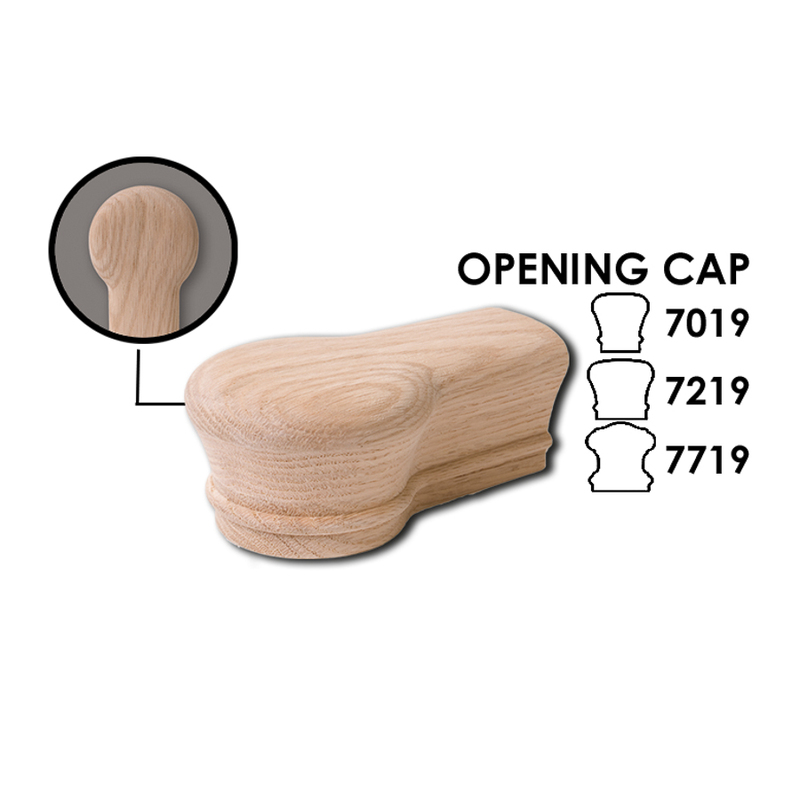 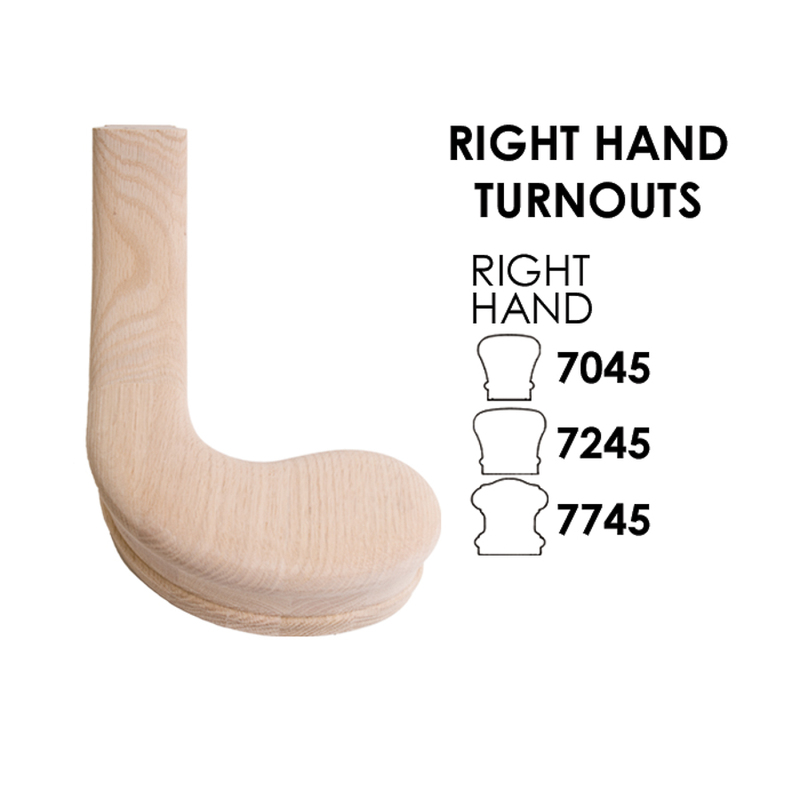 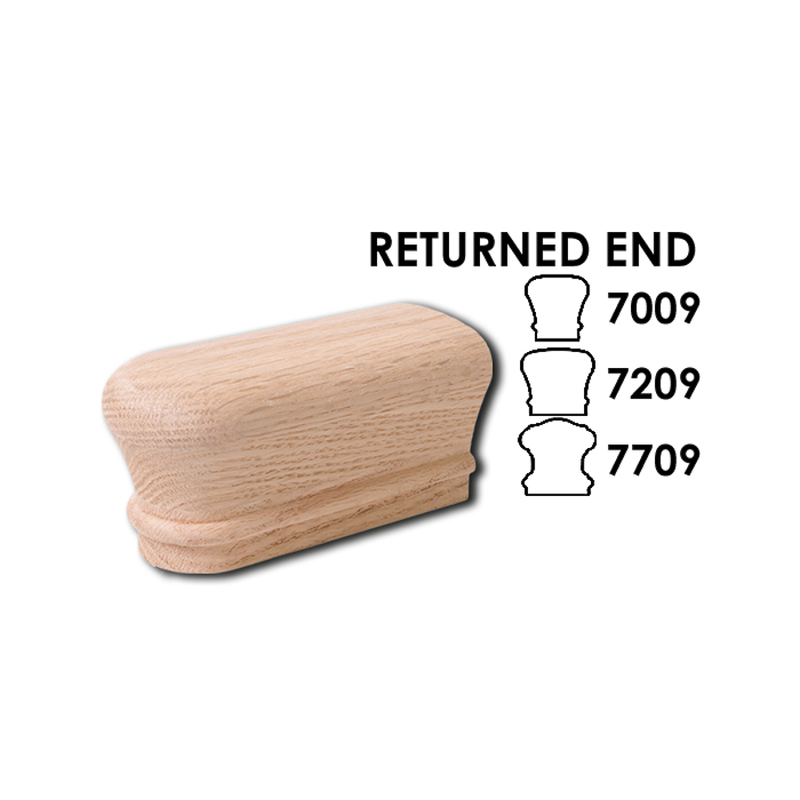 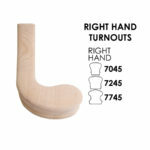 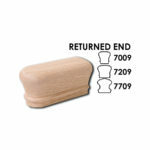 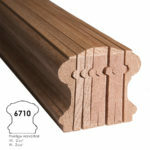 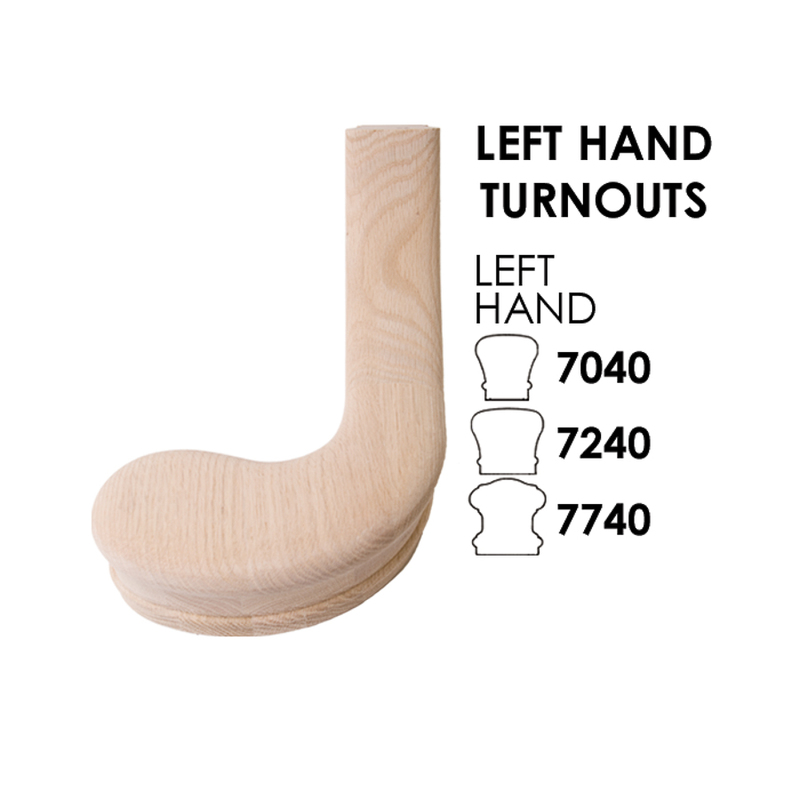 There are three industry standard styles to choose from, the 6010 Slim, 6210 Wide and 6710 Ornate styles. 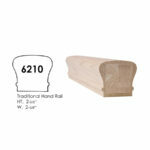 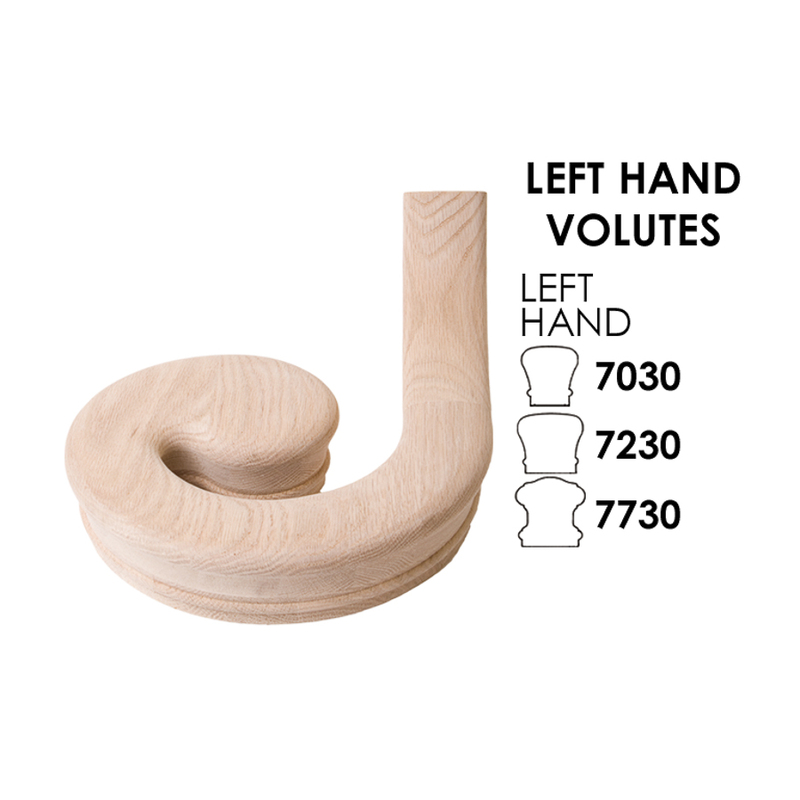 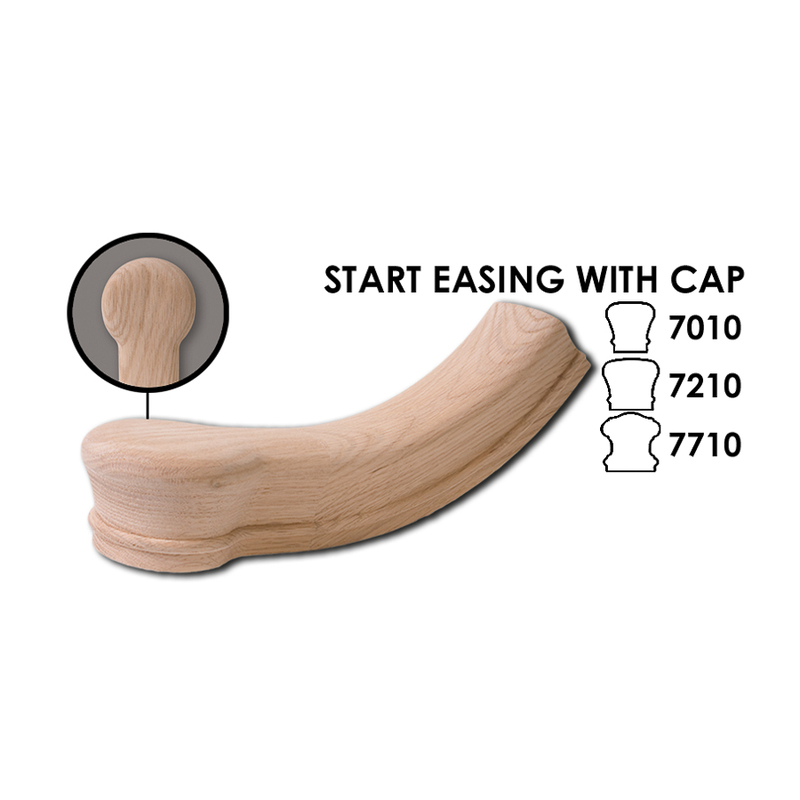 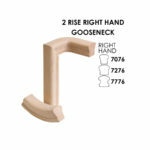 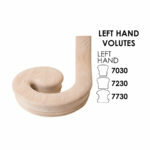 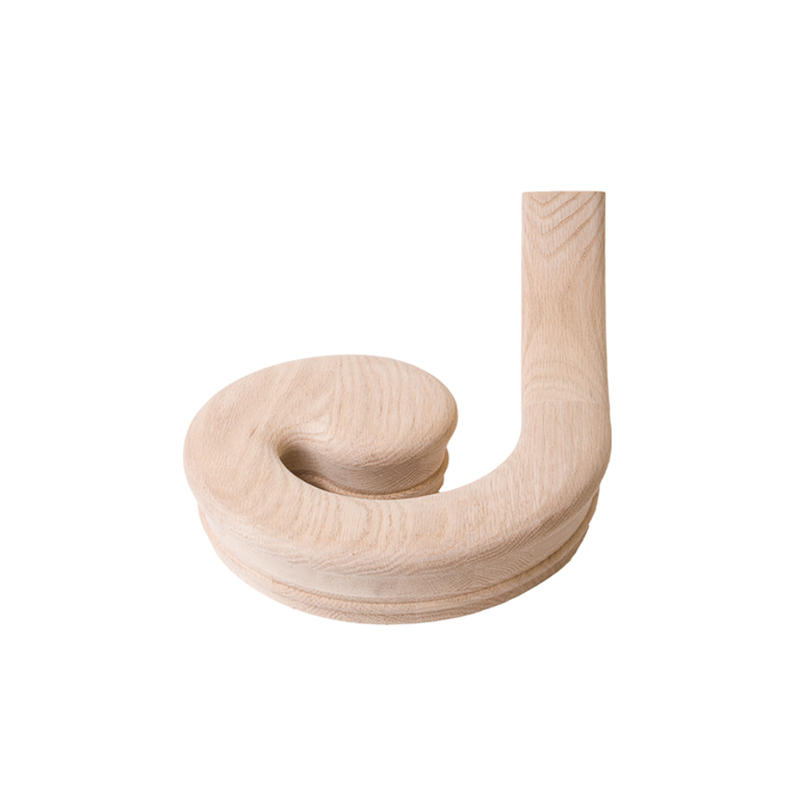 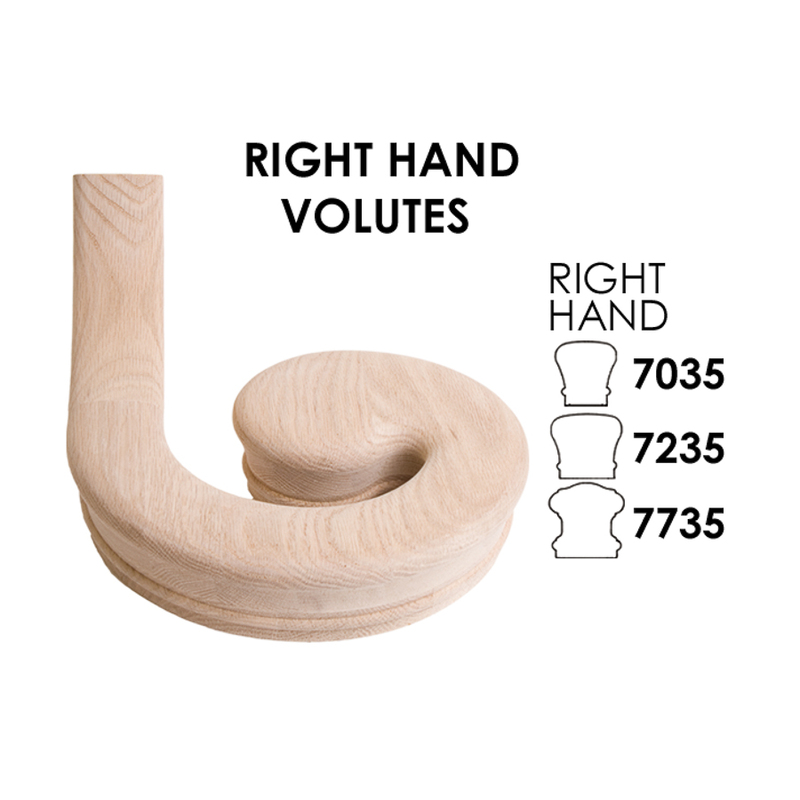 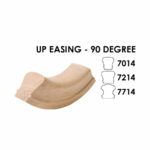 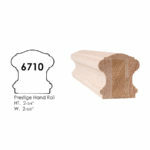 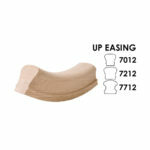 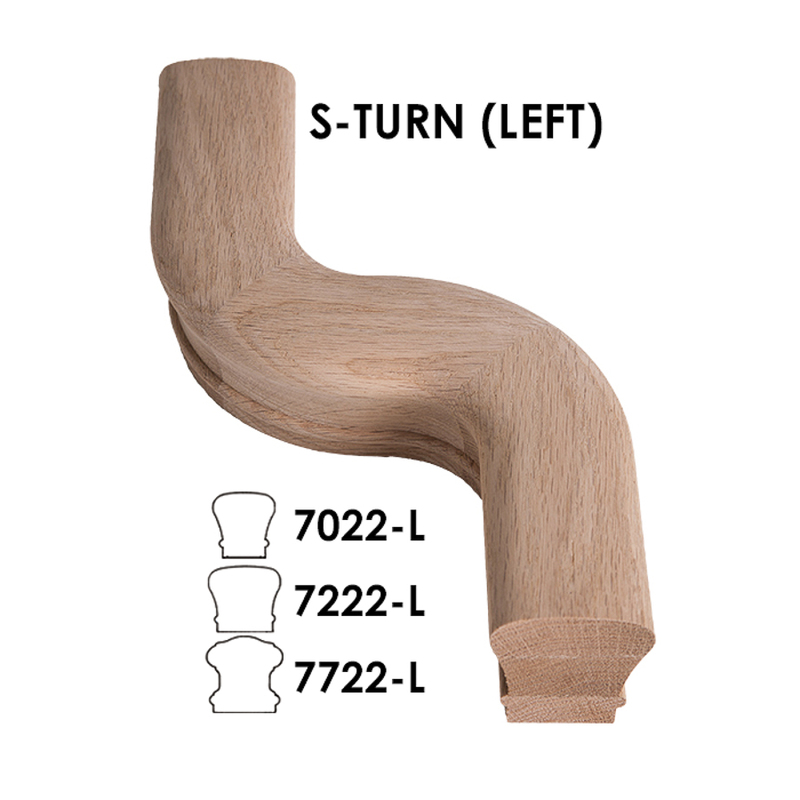 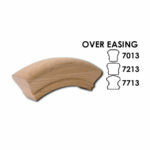 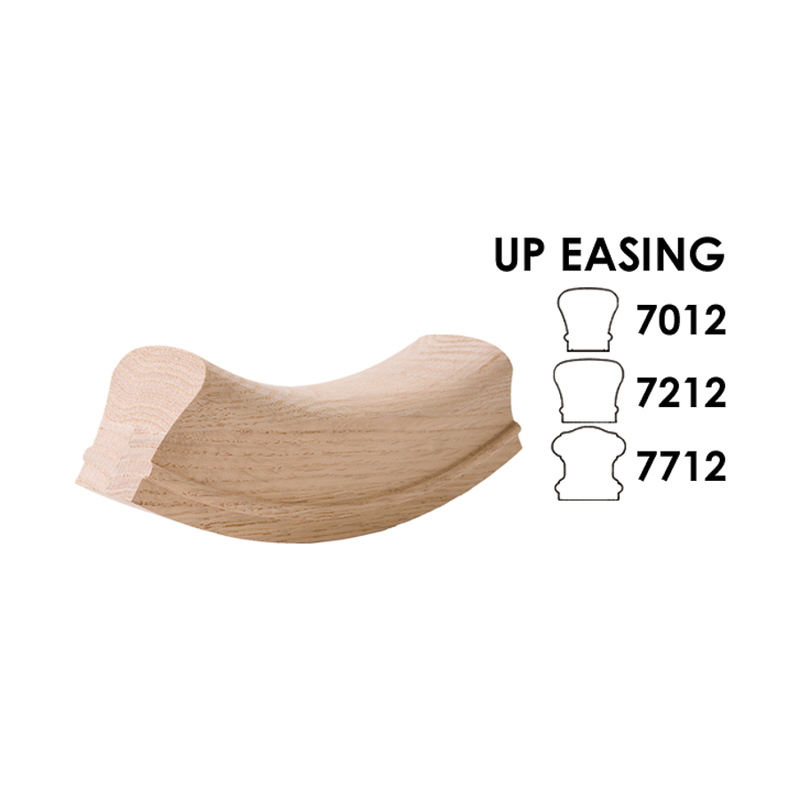 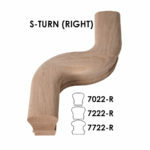 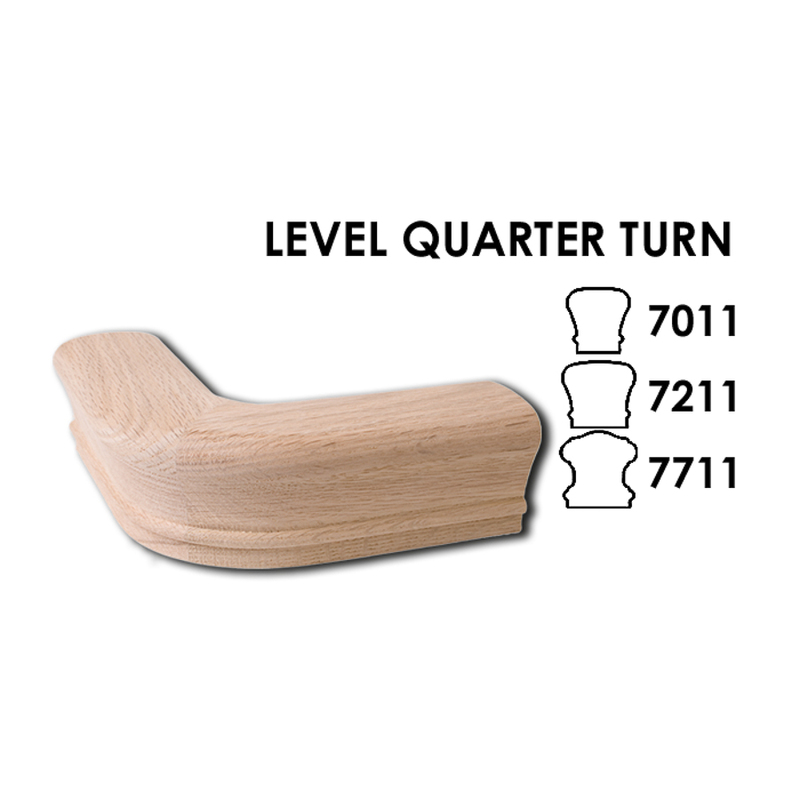 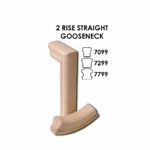 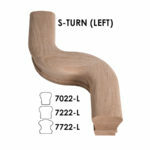 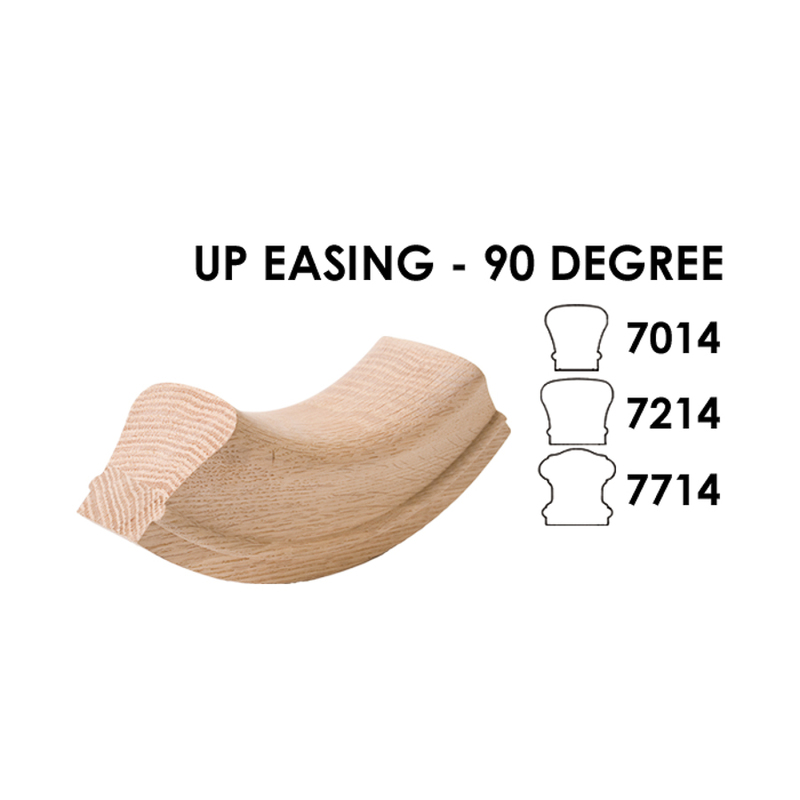 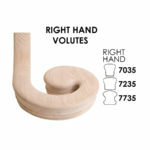 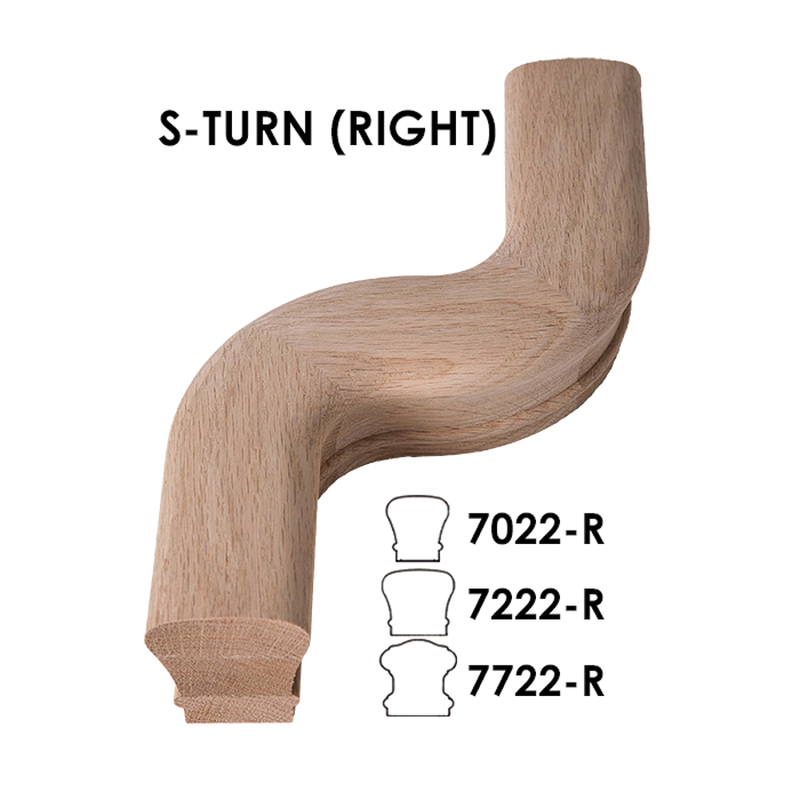 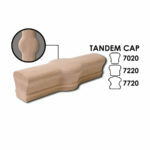 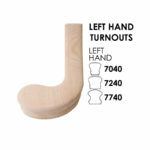 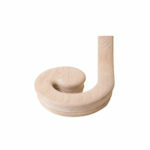 Our traditional bending stair handrail comes in lengths from 4 ft. to 20 ft. long. 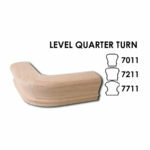 They are comprised of layers or slices that can be glued and then bent up to a 10 ft. radius. There are three industry standard styles to choose from, the 6010 Slim, 6210 Wide and 6710 Ornate styles. 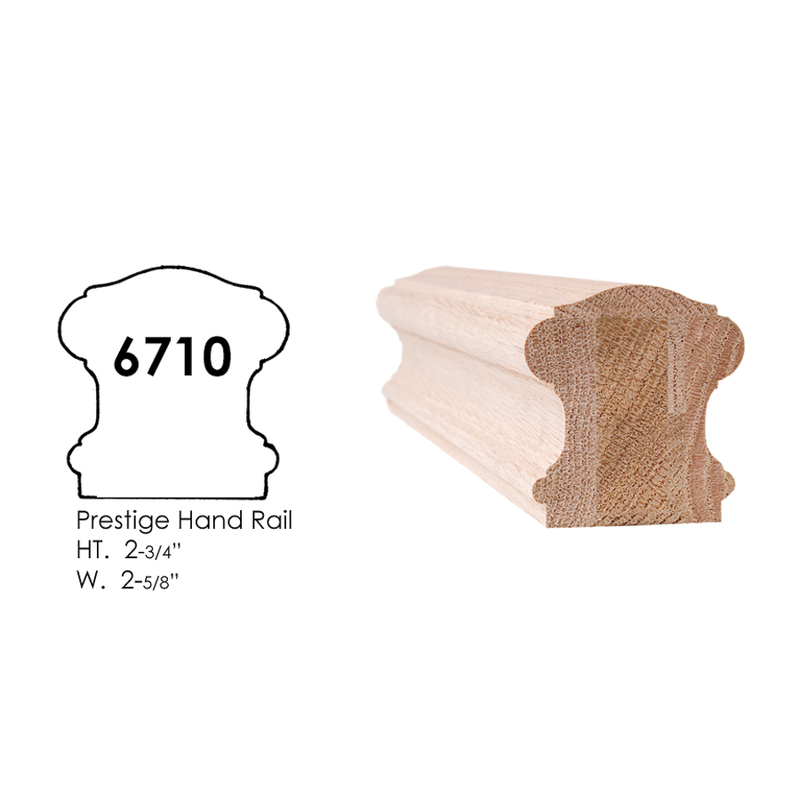 In addition to handrails, we offer a full line of traditional handrail fittings that can be used to achieve almost any easing or turn. Each one comes with installation hardware and instructions. Fittings not available for modern / contemporary rail.